Imagine a hotel conjured up by a dream team of talents. From chef Jean-Georges Vongerichten to designer Jacques Grange and perfumer Frédéric Malle: welcome to The Mark. Everything about this classic Upper East Side grande dame is designed around experiences exclusive enough to have the likes of Michael Kors, Anna Wintour and the Oprah Winfrey’s of the world checking in whenever they have the chance. Step into the lobby, and you’ll know it’s a hotel with a difference thanks to Jacques Grange’s dramatic black-and-white flooring, the curated collection of contemporary artworks and those sleek Paul Mathieu sofas. Additional perks include a shoeshine kiosk by John Lobb, an in-house hair salon by Frédérick Fekkai and, upon request, 24-hour access to the Bergdorf Goodman store on Fifth Avenue (which you can get chauffeured to in a Mark Pedicab). Celebrities, uptown regulars, senior partners from white-shoe firms...everyone finds a home at the Mark. Combination of old-world comfort, avant-garde design, the latest technologies and an unprecedented level of personal service. Perfect location surrounded by premier museums, shops and restaurants, and the splendor of Central Park. Very kind house staff, outfitted with specially designed clothing by Turnbull & Asser of London. Complimentary WiFi Internet, newspapers, shoe shine and use of fitness center. 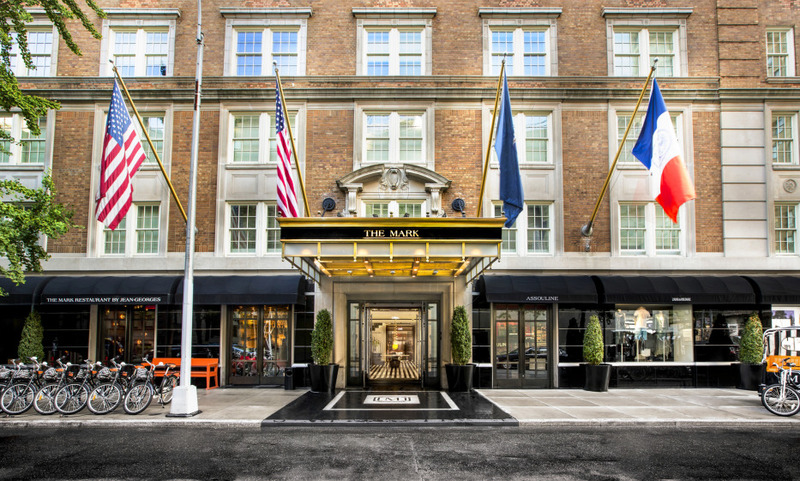 A very good hotel located in a charming residential area in Manhattan (right by the parc and museums.) The Lobby is a little bit on the small side and the rooms and bathrooms are comfortable. The service is very efficient. Very beautiful hotel, extremely well located in a more residential area. By the way they welcomed me back as if I had already stayed with them and I appreciated this. Beautiful elegant rooms and very friendly and helpful staff. We will definitively come back! Great experience, tailor made attention for clients, warm contact, very personal style. Like a boutique hotel, but with all the options of a big hotel.